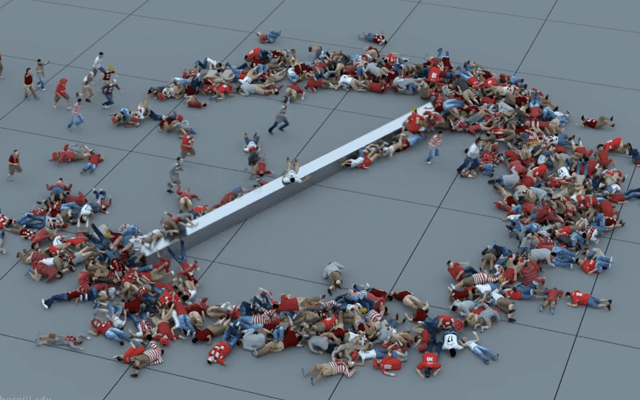 We love this weird video of people running into a large spinning piece of metal. It’s mesmerising. The video is created by Special FX artist Dave Fothergill. We don’t know what it symbolises but someone on the internet has suggested it might be a test for crowd dynamics with trauma reactions.